I have dreaded these two words all my life because I really love my hair. Jokes apart, I feel that the main reason behind my hair fall issue is my own carelessness. I rarely oil them, which is why they don’t get any nourishment and become weaker from the roots. Hair oiling is really important to maintain healthy hair and scalp. Despite of knowing this fact, I didn’t keep up an oiling routine and I am certainly facing the consequences now! Recently, I was contacted by a brand called Noor Secrets which is a made in India brand exclusively available on Amazon India. They wanted to know if I would like to try out their product, Noor Secrets Hair Oil which is made with 100% natural ingredients and has Ayurvedic properties. I could not deny the offer as I looove natural hair care products and I am actually hunting for some kind of miraculous solution for my hair fall problem. I have been testing out this oil for about 3 weeks now and I am still in the testing phase, but I really wanted to share my quick review and first impressions about this product with you guys over here. So if you want to know how I am liking the Noor Secrets Hair Oil so far, then keep on reading this post! Conditions for a natural shine without looking oily or sticky. Leaves color-treated hair soft, shiny, and easy to handle. 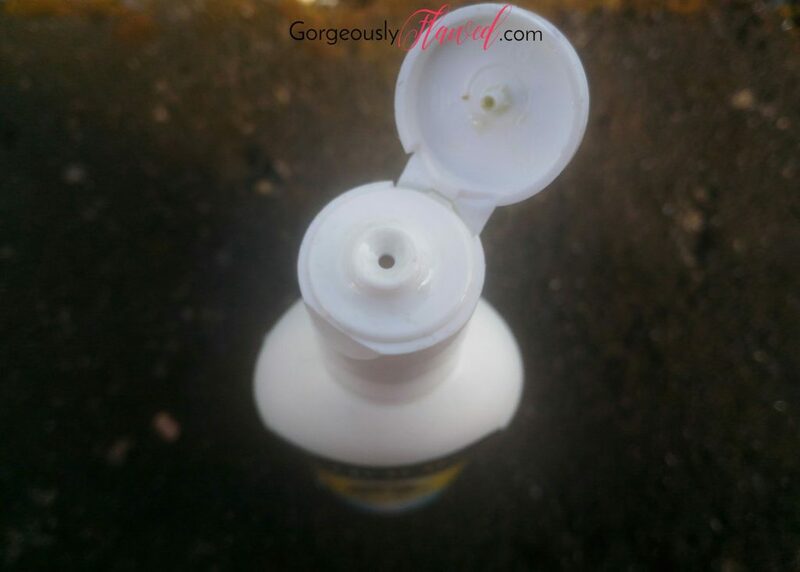 A COMPLETE HAIR CARE SOLUTION: Complete makeover from Dull, Thinning, Dandruff-prone & Lifeless Hair, Regular use helps hair get Stronger Root, Reduces Split Ends, Provides Rich Conditioning, Helps Fights Dandruff & Premature Graying, Reduces HairFall, Helps Increase Luster and more moisture retention leading to Dark, Healthy and Thick extra Shiny Smooth Hair. OIL HAIR CARE: Known to re-balance and nourish drying and dehydrating hair; nourishes hair and revitalizes scalp. It is effective for improving dry damaged hair and reducing split-ends. 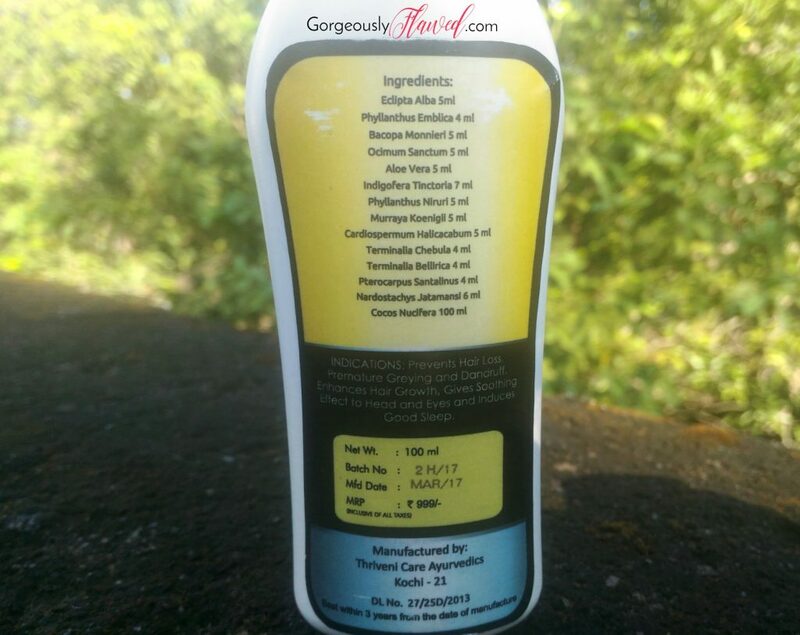 100% NATURAL, HERBAL and Proudly MADE IN INDIA: A perfect blend of Pure Coconut Oil, Aloe Vera, Curry Leaves, Amla, Bhringraj and 13 other Herbs. NO PRESERVATIVES or CHEMICALS used and proudly manufactured in INDIA following strict Ayurveda guidelines to give you the best Hair care solution. ADDITIONAL BENEFITS: Regular use of Noor Secrets Dark and Thick Hair Oil gives soothing effect to head and eyes, helps reduce stress and also induces good sleep. The oil comes in a very simple white coloured bottle with a flip top cap. I am totally OK with the current packaging as it is convenient to use, but I think there is some room for improvement. I prefer transparent bottle packaging more than this opaque one as it helps me to see how much product is left in the bottle. Keeping that aside, I loved to see that they have mentioned all the ingredients of this oil on the back of the bottle itself. Not a lot of brands do that. The bottle comes inside a cardboard box which I forgot about while taking the pictures. As the name suggests, this hair oil claims to provide dark and thick hair naturally with the herbal Ayurvedic ingredients like Bhringraj, Amla, Brahmi, Tulsi, etc. I have never seen an all-in-one kind of hair oil like this one before. Mostly, in the market, you would find hair oils containing just one or two of these ingredients mentioned above. Whereas, Noor Secrets Hair Oil comes with 14 kinds of herbs that are well known in ancient Ayurveda for providing thick, dark and lustrous hair. 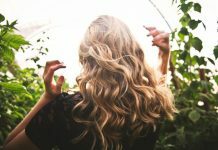 The ingredients of this hair oil truly make it a very powerful solution for different kinds of hair related problems that the oil claims to treat. I have used it for just 3 weeks till now and I cannot say whether or not it helps to stop hair fall and stimulates hair growth. This kind of change can be observed only after I have used it religiously for at least 2-3 months. Someone who has moderate hair fall may see a difference in 1-2 uses, but since I am having severe hair fall, it may take some more time to show me noticeable results. I will continue to use it until it is completely over and update you guys about my hair situation. Till then, I can only comment about the immediate results the oil gives like how it provides soft and shiny hair after wash, without leaving any trace of oiliness or greasiness behind. Its smell also goes away completely once I have washed my hair with a shampoo. Currently, I am using two shampoos. First one being my all time favourite Patanjali Kesh Kanti Hair Cleanser and the second one is a medicated shampoo which is highly concentrated. The latter one makes my hair extremely dry, but whenever I use it after leaving this oil overnight in hair, my hair does not feel as dry as it used to do earlier. The packaging is leak proof and convenient. The hair oil is free of harsh chemicals that can affect the growth and texture of hair. It contains 14 herbs which benefit the hair and scalp in various ways. The oil is easy to use and wash off. Its smell does not stay behind after I have washed off the oil with shampoo. It is best if you use a chemical free shampoo along with it! Free of artificial fragrance. It has a mixed natural fragrance of all the herbs that it contains. Gives cooling effect to the scalp. It is also an Anti Dandruff Hair Oil. Although it is currently available for just Rs.474/- with discounts, its MRP still bothers me as Rs.999/- for a 100ml oil is not an affordable price point for everyone. Go ahead and make your purchase on Amazon India. Also Read: Did You Know These 5 Ways Glycerine Fights Oily Skin Problems? Besides the pricing factor, I did not find a single downside of the Noor Secrets Hair Oil. It is full of herbs that are amazingly nourishing for hair and scalp. I see no reason to not recommend this hair oil to others. Gets a thumbs up from me! 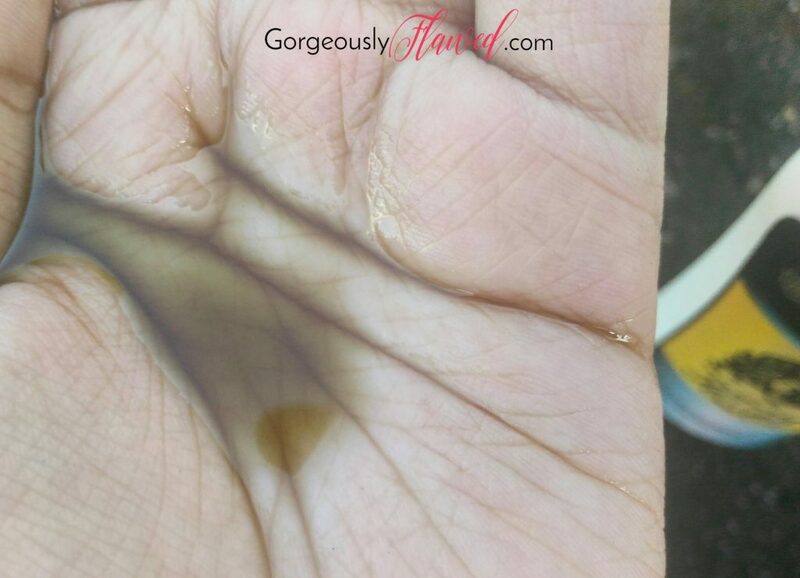 The pictures of the oil seem a little peculiar in your hands. Maybe try pouring some into a clear container, like a glass cup or the white cap lid. Iam hair oil repulsive though , but trying out natural products is a part of passion too. Pretty much inspired by your detailed review . Wow!! Thanks for your detailed review. I am already using this oil and believe me it did wonders to my hairs. I had frizzy hairs and believe me since i started using this oil I don’t have frizzy hairs anymore. I recommened this oil to all of my friends and everyone is loving them. Does Noor hair oil change hair color. Hey Kate, thanks for your comment.